DENVER — A former radio disc jockey accused of groping Taylor Swift before a concert testified Tuesday that he may have touched the pop superstar's ribs with a closed hand as he tried to jump into a photo with her but insisted he did not touch her backside as she claims. Mueller sat in court with his back to Swift and her mother, Andrea Swift. 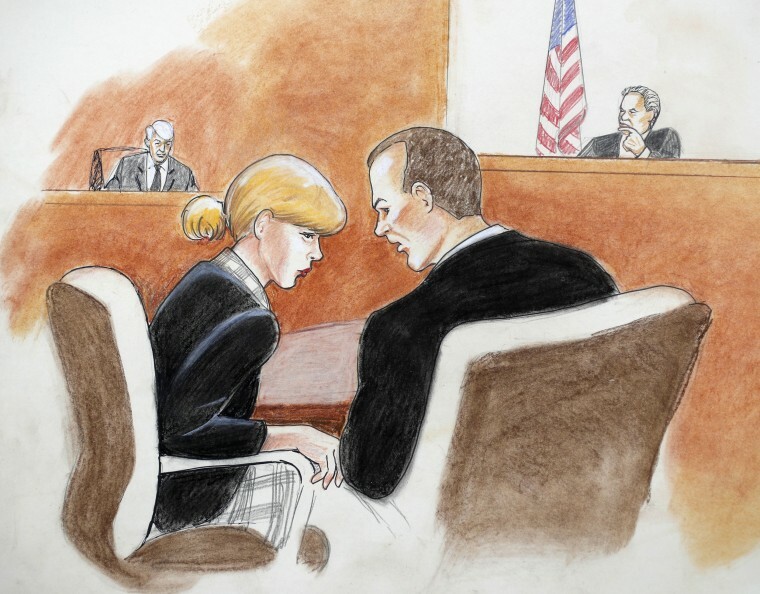 Taylor Swift is expected to testify later in the trial. Mueller said the recorded the meeting on an iPhone 4 and transferred it to a MacBook because it took up too much memory, and that the file was lost after he spilled coffee on the laptop and destroyed the machine. The iPhone was damaged in a hike, he said. Baldridge attacked Mueller for for suing Swift and not KYGO even though Taylor didn’t make any of this public. The attorney did get Mueller to concede that various supervisors with KYGO and its parent firm had discussed the possibility of letting him go even before the encounter with Swift.